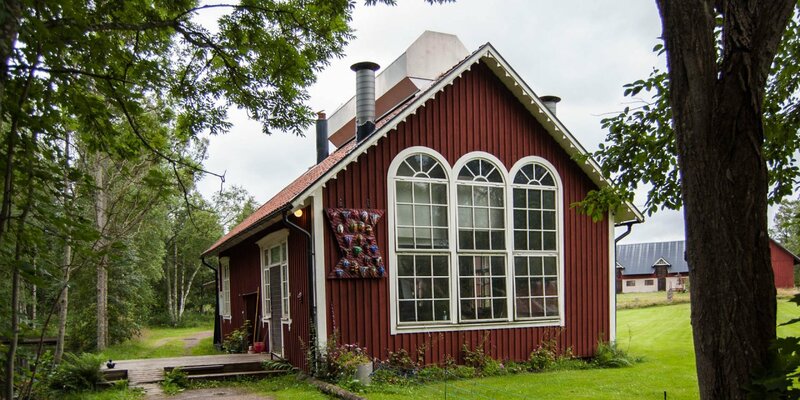 Skrufs Glasbruk is a glassworks in the so-called Kingdom of Crystal in the southeast of Småland. 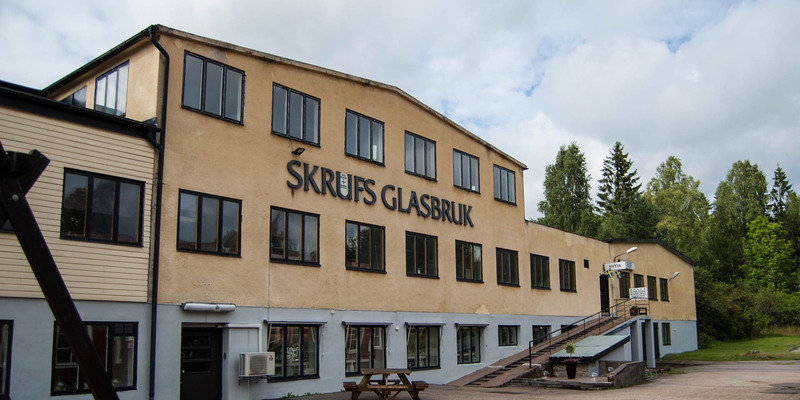 The glassworks in the small town Skruv was founded in 1897 and is specialized in the handmade production of high-quality utilitiy glass. The product line of the family-run Skrufs Glasbruk consists of several design lines with high-quality drinking glasses for different types of drinks, complemented by matching carafes, pitchers, bowls and vases. The forms are classic and the products concists of hand-blown crystal glass. The noble glasses from Skruf belong to the inventory of Swedish foreign representations or are also used in the Swedish Parliament, for example. You find all products of the current design lines and some discounted itmes with often barely visible defects in the factory shop, which is open every day. In addition, you can enter the glassworks and look over the shoulders of the glass blowers on all working days. 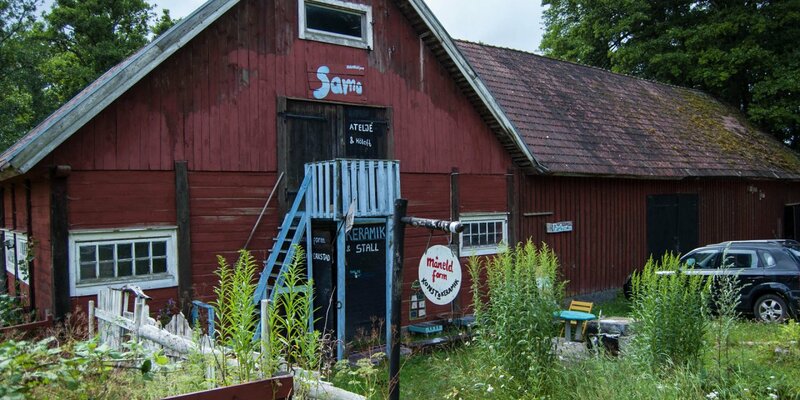 The elongated red wooden building in front of the glassworks is home to the glass museum of Skruf. Numerous documents, photographs and other exhibits showing the history of the glassworks. 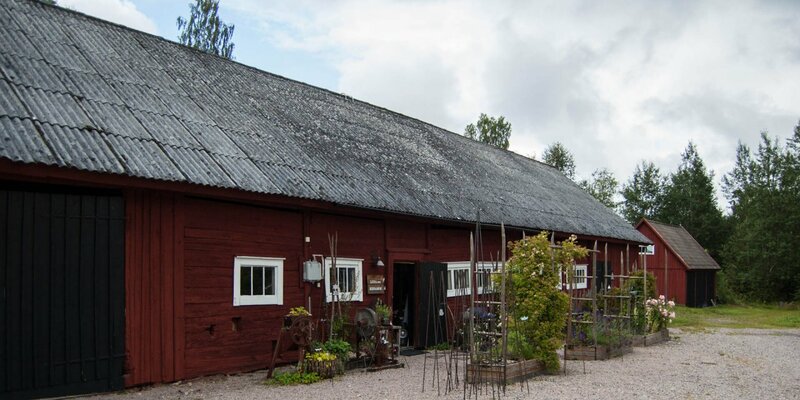 In the same building is a tractor museum, which is operated by the local heritage association.